I have a windows 2012 server I use RDP to connect remotely. The windows clients have no issue printing. with the Macs I use Parallels to connect but use the RDP part of it. I have setup the client to use the Mac printer. It will not show the printer. Any thoughts on how to be able to print remotely using mac and RDP?? 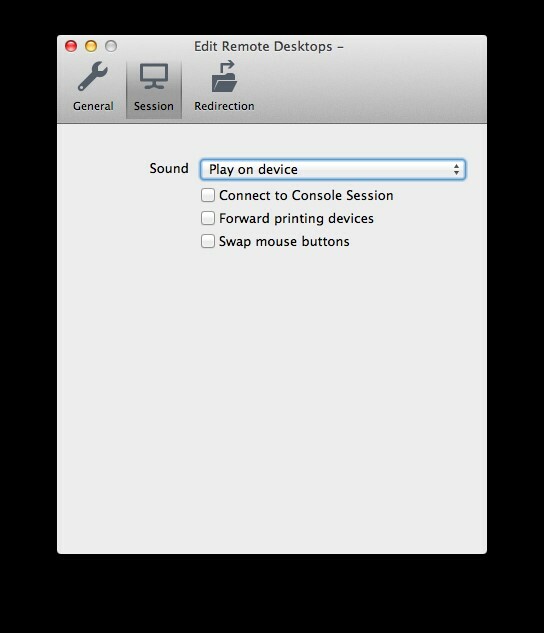 Did you ensure that Forward printing devices is checked to allows the local printer connected to your Mac in a remote desktop session. Sorry, should have mentioned that. yes. I have it setup on two different Macs. Neither works but sure looks like they should. I was checking another site and they recommended downloading the latest version of Remote Desktop Manager, see link below.